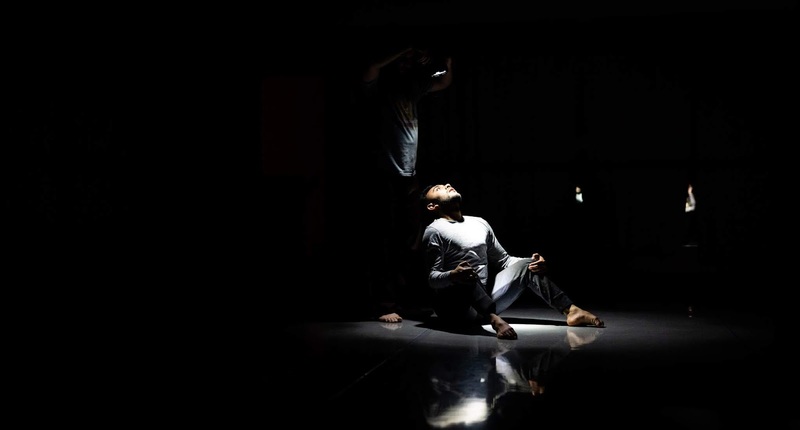 A search for understanding, for explanation, for relief – these themes and more lie at the heart of Deborah Slater Dance Theater’s The Sleepwatchers, co-directed by Deborah Slater and Jim Cave. Sleepwatchers processes these questions by taking the concept of sleep, or rather sleep disorder, into the Dance Theater sphere. 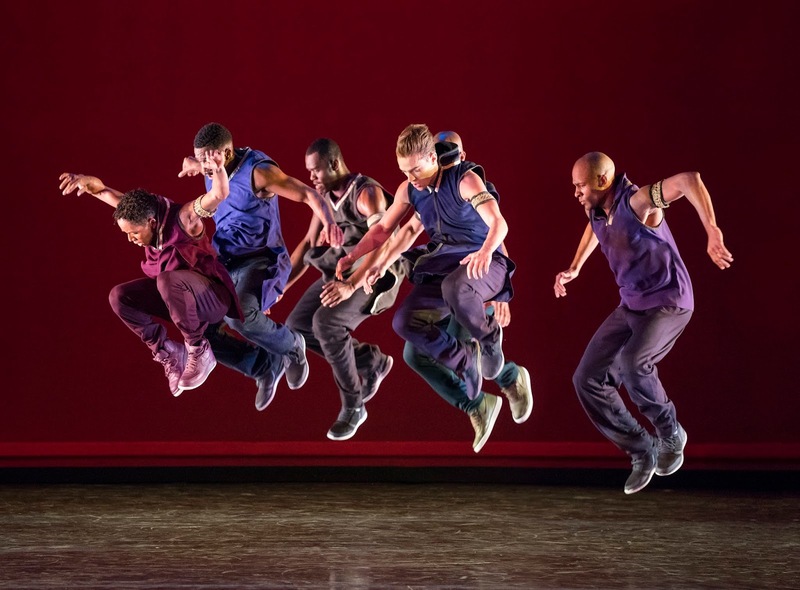 The 2001 work, currently remounted as part of the company’s thirtieth anniversary, is chock-full of Dance Theater elements, expertly woven into a rich artistic tapestry: text, characters, scenework, set, sound, humor and movement. And by simultaneously mining these disciplines, Sleepwatchers makes some penetrating physical, psychological and emotional statements about the mysterious process of sleep. Slater, Cave and their collaborators did a terrific job creating a sense of place. A bed was positioned center stage; movable flats (by Jack Carpenter) doubled as room dividers and as educational white boards. Much of the cast was costumed (by Jeanne Henzel) in pajamas and lingerie, others were dressed as medical professionals. David Allen, Jr.’s score and Teddy Hulsker’s sound design included some well-known sleep-themed tunes layered with mechanical whirs, maybe a sleep apnea machine or a ventilator. 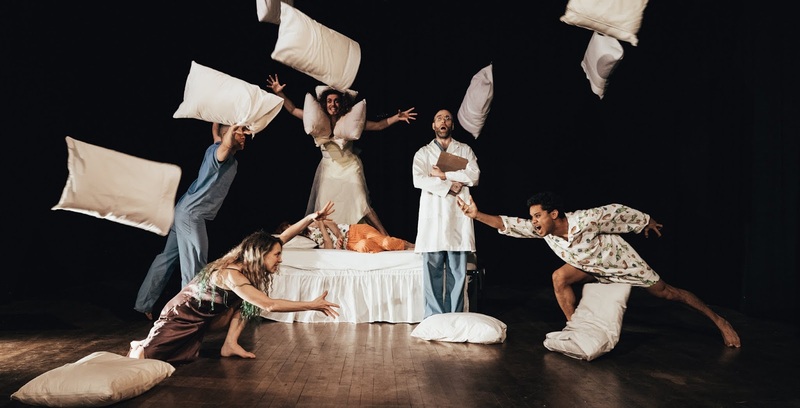 Different personas wandered through Sleepwatchers’ ever-changing scenes, which included medical lectures, sleep studies, nightmares and memories. One woman was trapped between adulthood and youth. Her brother was an integral part of the story, as were a number of Doctors and other characters conjured during sleep. Together, they all went on an investigative journey to discover why sleep was elusive for her. Eventually, they do find the answer, but along the way, encounter a myriad of issues, primarily around control. There is commentary about the need for answers; the obsession with figuring things out; the tendency to protectively reframe circumstances; and the discomfort we often feel with an ‘I don’t know’ posture. 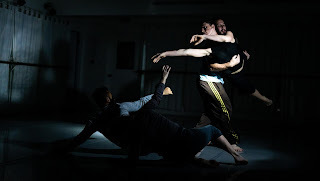 There is much to love in Sleepwatchers, it’s a winning piece of contemporary performance. But it does face a couple of challenges, or maybe, it’s more accurate to say one two-pronged challenge. Clocking in at more than an hour (with a late start, it’s hard to guess the exact run time), Sleepwatchers is too long. Having said that, it isn’t inherently too long. It’s too long because there’s so much repetition, too much for me. As each character navigates the story, recurring motifs were everywhere – in their interactions with each other, their scenework and their movement phrases. For example, there’s a sleep ogre character threaded into much of the dance: half impy leprechaun, half creepy gremlin. The role was communicated well and the choreography was very fitting. But every time the character was onstage, the same things would play out and play out at length. Repetition is indeed a tenet of Dance Theater, though finding the right balance can be tricky. Too little and there isn’t enough narrative impact; too much and the potency is lost. Whenever I feature a book corner, the titles usually fall into a few different categories: dance biographies, academic performance study texts or anthologies. For Spring 2019, I’m changing things up a bit, as there are some fantastic new dance-themed children’s books on shelves now. On Tiptoes – De Puntitas is sure to be a popular selection among budding Bay Area balletomanes as it is inspired by the life of San Francisco Ballet Principal dancer Sasha De Sola. 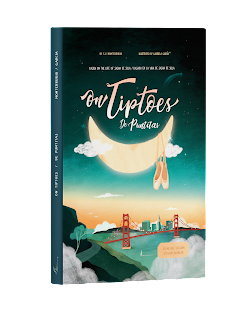 With a narrative thread that speaks to the connection between dreams and hard work, the reality of challenges and the perseverance to overcome them, On Tiptoes – De Puntitas casts an ideal narrative arc for any new reader. A young Sasha is introduced in the book’s first pages, as is her discovery of and dedication to ballet. After countless hours of practice at esteemed schools, her quest for the professional stage finally finds her landing at SFB, only to be sidelined with a very serious injury. Even though this obstacle seems insurmountable, the story ends in triumph thanks to a combination of tenacity, drive and patience. While On Tiptoes – De Puntitas has a winning narrative in its own right, one of its greatest accomplishment is its commitment to duality. It’s a bilingual title, with both English and Spanish appearing on every page. And one of its hidden features is that it is actually two related stories that meet in the middle. 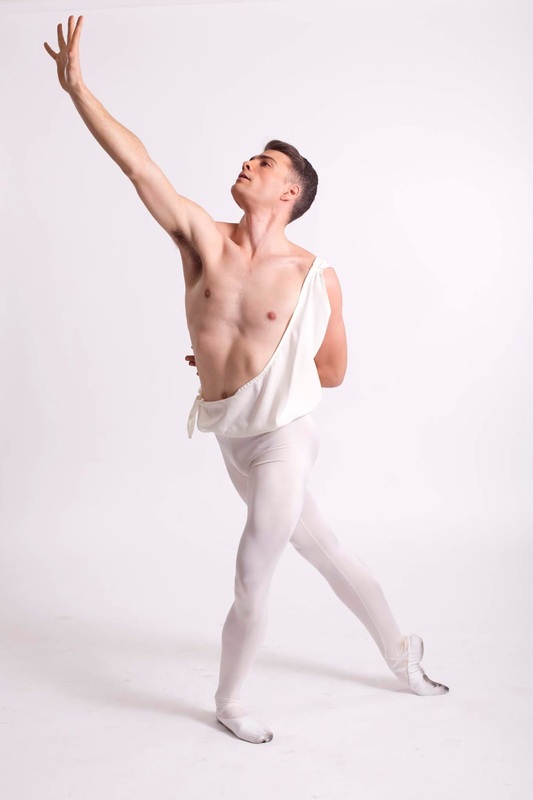 If you start from the front of the book, you learn about Sasha’s journey, but if you flip the hardcover over and begin on the other side, you meet a young man, whose is so taken and motivated by Sasha’s talent and artistry that it fuels his own pursuit of classical ballet. With fantastic illustrations, it’ll make a great addition to your child’s library. Another great title for spring is It’s Just a Bunnypalooza, the third adventure in the It’s Just So… books, which features a precocious and entertaining protagonist, Lizzy. A story like this one, that combines dance and bunnies, might make a perfect addition to an Easter basket in a few weeks. In It’s Just a Bunnypalooza, we find Lizzy preparing for her school’s upcoming talent show, and who does she turn to for guidance? Her host of animal friends (the sweet bond between her character and the animals is indeed a narrative highlight). Eventually, with the help of a litter of bunnies, she finds her choreographic stride, only to be picked on and dismissed by her classmates. But the bunnies will not surrender, they band together to remind Lizzy how much she loves dance and movement. It’s Just a Bunnypalooza is clearly a charming tale where friendship, learning and artistic practice intersect. But where the book really shines (at least from a movement vocabulary perspective) is in its commitment to diversity of genre and style. Yes, the bunnies delve into ballet and tap, but they also take a foray into break dancing, social dances, ballroom and world dance forms. And at the end of the book, there is a two-page glossary of dance terms to explore. This epilogue not only defines the different dances, but talks about where they originate. 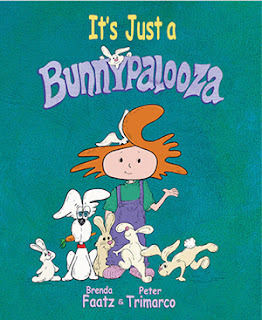 It’s Just a Bunnypalooza is a great way for kids to discover more about dance as well as witness the enduring connection we have with animals. 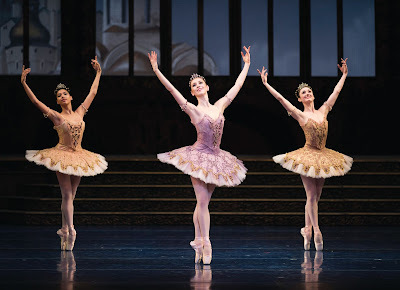 In my February 2018 CriticalDance column, I reviewed San Francisco Ballet’s The Sleeping Beauty at length. 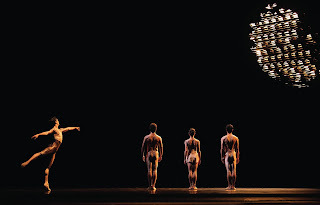 Choreographed by Artistic Director and Principal Choreographer Helgi Tomasson (after Marius Petipa), the ballet premiered back in 1990, but last year was my introduction to this particular version. And so I had thoughts aplenty – about the set, staging, choreography and the overall grandeur of this three-act narrative ballet. 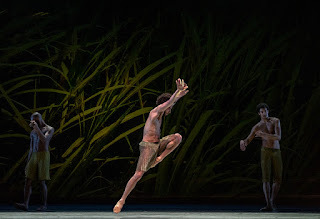 Beauty has returned as part of SFB’s 2019 repertory slate and just opened over the weekend. Though many of my observations held true from last year, there was still newness to behold in this first matinee performance. An infant princess. A curse. A prophecy. A long nap. A kiss. A wedding. Simplified and distilled, these are the main plotpoints of Beauty. Though clocking in at close to three hours, clearly other chapters and episodes factor heavily into the action. During the (extensive) Prologue, we meet a mélange of mortals and fairies, all of whom have come to pay tribute to the new princess, Aurora. And it’s the fairies who are the stars of Beauty’s opening segment. With delicate, graceful and floaty movement tropes, I quite enjoy the choreography for all six main fairies. Though occasionally, things do look a little busy. With the sheer number of steps and transitions packed into every phrase (something which befalls much of the ballet), many of the sequences feel in constant pursuit of the downbeat in Tchaikovsky’s score. Having said that, several notable moments impressed. Ellen Rose Hummel’s Fairy of Courage variation commanded with its piercing feet, pointed fingers and staccato ball changes on pointe. Jasmine Jimison’s whimsical Fairy of Playfulness solo is one of the briefest dances in the lot, but in that short stay, Jimison, an apprentice with the company, captivated with her presence and technical clarity. I would even go so far as to say that she was the standout star of the afternoon, but more on that later. Then the ballet has a time lapse and we finally (at least thirty-five minutes in) meet Aurora, danced by Mathilde Froustey. This second half of Act I features a number of stunning technical feats, famous moments (the Rose Adagio) and ends with the onset of the hundred-year slumber after Aurora is pricked by the dreaded spindle. Act II continued to be both curious and elusive for this viewer, because while some important events transpire, on the whole, it feels extraneous. 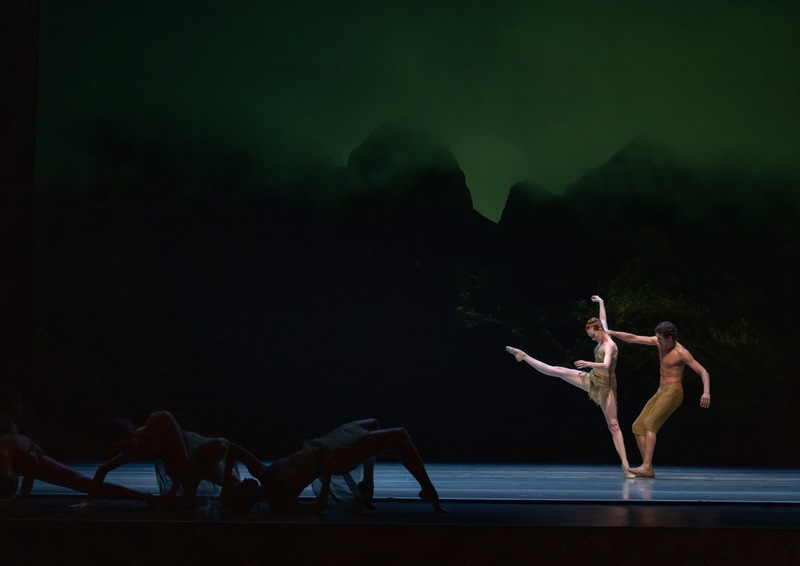 Yes it introduces Prince Desiré (Vitor Luiz), connects the Prince and Aurora through a lengthy vision/dream scene and concludes with the kiss that wakens the Princess. But I’m not convinced that this chain of events a) has to take this long or b) couldn’t be folded into Beauty’s other acts, assuming they too had had some editing. The six-year-old who attended the performance with me remarked as follows, “this sure is a long dream.” Indeed. While the middle act is not my favorite, I did find Beauty’s third act to be a lot of fun. More fairies appear, as do some special feline guests, all in celebration of Aurora and Desiré’s marriage. Many lovely moments unfolded throughout, but by far, the highlight was Jimison and Esteban Hernandez’s Bluebird pas de deux. They were absolutely sensational. I saw Hernandez as the bluebird last year and it’s no surprise he has been cast again. His theatrical quality, exuberance and jumping prowess are the perfect match for a role replete with complicated batterie, bravado turns and pas de poisson. And Jimison, as the enchanted princess, had it all. Flawless technique, inviting stage presence and artistry to spare. Her face radiated joy in every instant and her movement had balance, intricacy, placement and heart. I wouldn’t be at all surprised she ascends swiftly through the SFB ranks. 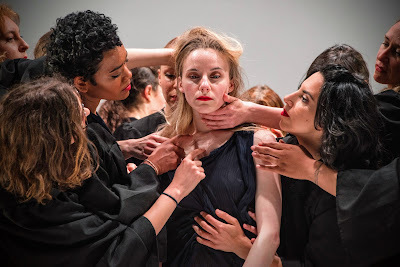 I couldn’t think of a more ideal occasion than International Women’s Day to attend Nevertheless, a collaboration between ka·nei·see | collective and Cat Call Choir, that casts a wide, unflinching lens on gender-based harassment and abuse. Conceived by dancemaker Tanya Chianese and vocal director Heather Arnett, the work opened to much acclaim last year at CounterPulse and has just returned for an encore run at Z Space. Though I missed Nevertheless’ world premiere, I did see an in-process iteration a couple years back at Shawl-Anderson Dance Center. At that moment, I recall being moved not only by its candid honesty, but by its breadth. Yes, there was an abundance of shocking(ly accurate) imagery but there was also a deep sense of kinship and sisterhood. A feeling of shared reality, shared experience and shared power. These potent themes abounded in the full, sixty-five minute piece, as did Chianese and Arnett’s impressive Dance Theater acumen. In vignette after vignette, Chianese, Arnett and the twenty-three member-cast unpacked Nevertheless’ narrative threads. Full throttle choreographic sequences saw the cast being pulled/dragged across the space against their will and being shoved downward toward the ground. Multiple scenes found the ensemble dealing with touch and attention that was both uninvited and without consent. Performers backed away from dangerous altercations in one moment and over-apologized in others when they clearly had nothing to apologize for. But as mentioned above, there were also ample reflections of strength and mutual support. Grounded, low positions – deep pliés in second and broad lunges – felt powerful and mighty; while unison phrases spoke to a collective understanding. And the music. Not only was the Cat Call Choir vocally impressive, but the use of familiar children’s, camp and holiday songs in the score was absolutely brilliant (the melodies remained the same but the lyrics had been changed to include harassing language and body shaming commentary). So often we hear things like, “it was an innocent comment,” or “he didn’t mean anything by it.” To intersect that kind of ugly language with music that has an air of innocence felt particularly poetic. Not to downplay or detract from Nevertheless’ urgently topical message, but its structural achievements also must be part of the discussion. 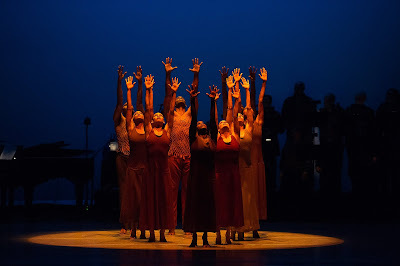 Because as a work of Dance Theater, Nevertheless is not just good, it’s stunning. The work has just the right level of abstraction - go too far abstracting a concept and the impact gets lost. One could point to many examples throughout, though one that particularly stuck with me was a duet where facial muscles were slowly and deliberately manipulated into large, forced smiles. There were also plenty of purposeful absurdity and humor, which is a huge Dance Theater trope. Like the stylized self-defense class that felt plucked from an 80s aerobic VHS tape. Nevertheless had repetition, which can both emphasize and anesthetize in the same moment. And with song, movement, text and scenework, it utilized multiple theatrical disciplines. But most important, Nevertheless doesn’t wrap things up in a tidy bow, which for me, is the primary tenet of Dance Theater. The work ends with a soloist alone on the stage, having just experienced a barrage of unwanted and unwelcome touch from the rest of the cast. She stares blankly ahead and doesn’t move a muscle. With this final image, Chianese and Arnett are candidly exposing the dark side of humanity and challenging the audience to sit with it, without resolution. I think it’s safe to say that many Dance Theater ancestors were looking down on Z Space last night, inspired by where the form is headed and who is taking it there. I think it’s fair to say that when it comes to new musicals these days, many are based on popular film, television or franchises. Not all, but certainly more than there used to be. And this trend just isn’t for me. So when a new musical comes along that has found its source material elsewhere - in history, in music, in the evolution of movement genres, in exploring the human condition - I’m all in. If you have a chance to go and see Paradise Square, directed by Moisés Kaufman at Berkeley Rep, take it (the run, which officially opened Thursday night, was recently extended until the end of February). The penetrating story, by Marcus Gardley, Craig Lucas and Larry Kirwan, grabs you from the very beginning and doesn’t let go. The characters entertain in one scene and haunt in another. Combining adaptations of Stephen Foster’s music with original material, Jason Howland and Kirwan’s score, with Nathan Tysen’s lyrics, confronts while it stirs. And the movement! 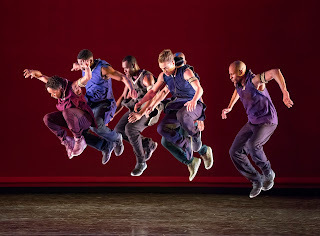 Bill T. Jones’ choreography strikes the perfect balance – innovative, hard-hitting and energetic while still propelling the narrative forward. Because there’s nothing worse in a musical than dance that feels like an unrelated break in action. 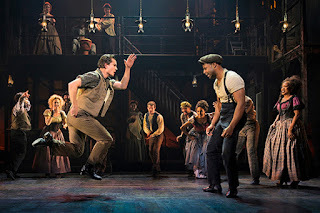 As the lights rise on Act I, the audience is immersed in the Five Points neighborhood in 1863 Manhattan, a primarily African American and Irish American community. More specifically, most scenes unfold in and around the Paradise Square saloon, run by Nelly Freeman (a potent performance by Christina Sajous). This gathering spot is a perfect metaphor for this special place. A place where race, culture, gender, money, personal circumstance (or personal demons) dissolve, to be replaced by togetherness, love and empathy. The message of the Paradise Square saloon is that it is for everyone – those seeking shelter, seeking safety, seeking reinvention and seeking a new life. But as the Civil War rages on and the draft is announced, this utopian ecosystem is challenged, and faces permanent upending due to fear. There was much to love in Paradise Square – so many venerable performances, outstanding designs and of course, the throughline of Foster (portrayed by Jacob Fishel) and his controversial music. Though as one might guess, I had come to see the choreography and the dancing. African and Irish cultural dance forms are introduced into the space right from the start and would remain at the forefront until the final blackout. The two are of course striking from a visual perspective, especially danced by this stellar cast. One considers the distinct center of gravity in each, the groundedness, the ballon and marvels at the high-speed footwork and syncopated percussion. But as this dancing is set within a musical, I was more intrigued in how it informed the narrative. Jones did not disappoint. During “Camptown Races,” Sidney Dupont (as William Henry) and A.J. Shively (as Owen) engaged in a kind of dance conversation, the two traditions being showcased side-by-side. An atmosphere of simultaneous camaraderie and lively one-upmanship pervaded the stage. The steps and performances impressed, but as the scene continued, you realized that something deeper was underfoot. A fugue was materializing, or with it being two lines of inquiry, I suppose invention is more accurate - the two dance genres were remaining wholly independent and yet experimenting with their interdependence at the same time. There was a sense of sharing and an air of pedagogical exchange, each teaching the other about their dance’s history and syntax. What might emerge from this dialogue? Sometimes the choreography was less about the steps and more about the stage architecture. Near Paradise Square’s beginning, Jones had the entire cast threading and lacing in intricate patterns during “The Five Points”, symbolizing how their lives and existences were similarly woven together. At other times, the movement fueled an emotional dynamic that was happening onstage, like when the rhythmic percussive dances were used in a more aggressive, confrontational manner to emphasize fighting or violence. Online Paradise Square is listed as being two hours and fifteen minutes long. I’m not sure that was the case because we left the theater almost at eleven. Though perhaps with it being opening night, intermission may have gone over, and there was a significantly late start. In any event, even if the show clocks in at two and a half hours, that’s a very reasonable length for a two-act musical. Yet even still, the first act could use some editing, because, save the finale, it lagged quite a bit during its final third. And the dance competition that happens towards the end of Act II, when danger, panic and brutality are rising, felt out of place. I read in the program materials that the plot point of the dance contest was historically accurate and all the dancing in the scene was phenomenal. But in that moment, the theatrical container is so weighty and it felt like the story had been transported to a totally different tonal plane. Although maybe a modicum of escape was the whole point, something that the characters needed in order to face the reality of what was happening to each other and to their beloved Five Points.